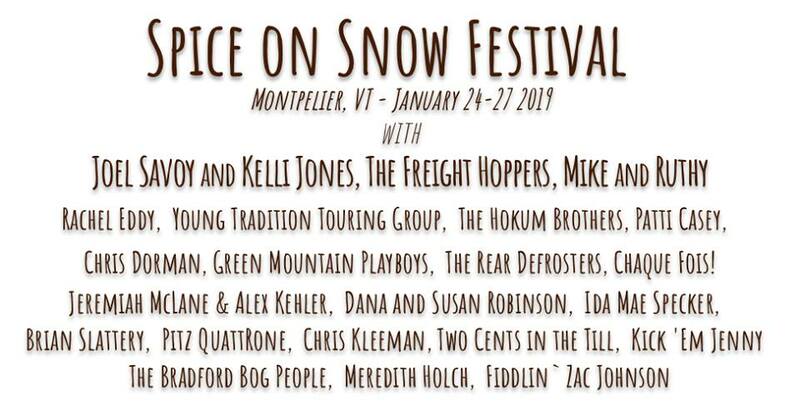 The Young Tradition Touring Group will be rehearsing and performing at the Spice on Snow Festival in Montpelier on Saturday January 26th. Rehearsal at Monteverdi Music School starts at 1pm, ends at 4:30pm. Performance at Bethany Church starts at 7pm. The group is managed by Mark Sustic. Artist Leaders are Pete Sutherland, Jeremiah McLane, Addison White, and Oliver Scanlon. For more info contact mark.sustic@gmail.com or 802-233-5293.